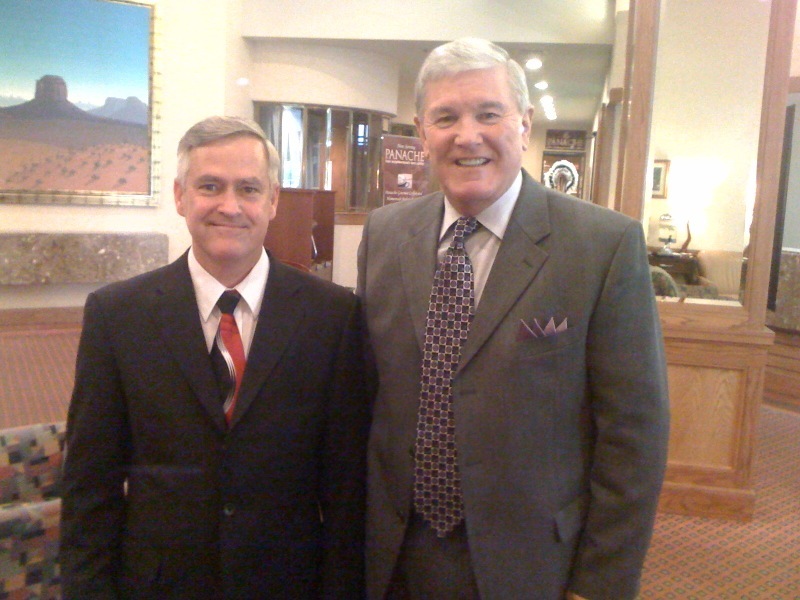 I am in Grand Junction, Colorado, preaching for my friend Pastor Tom Barlament. We had a great Sunday with many saved and four baptisms. I spent some time today with Pastor Barlament looking at the new property they have purchased and I was excited to see his vision for the ministry here in Grand Junction. He will be entering his tenth year and is doing a fabulous job of leading these dear people in soul winning. Tonight I was joined by Pastor Mike Ray of Napa, California. He is one of the finest and funniest preachers I have ever heard. He has a wonderful way about his preaching that helps people to not only receive but relate. I always love being with this dear man of God. Don Parker and his family are members here at Landmark Baptist Church. I had the honor of being their pastor from 2002 to 2007 at the Longview Baptist Temple in Longview, Texas. They are a fine family and a soul winning family. I will be able to spend some more time with them tomorrow. The pastor has morning services scheduled beginning at 9:30, 10:30, and 11:30 with a luncheon and Q & A time. There will also be a service Tuesday night at 6:30. If you are in the area please take time to attend. Dr Mike Ray and I will be sharing the pulpit once again. GOTTA LOVE SERVING THE LORD with a FLAWLESS King James Bible!